Your workmen were impressive in their craftsmanship and in their general nature and behaviour. Major alterations to the roof structure of our Grade II Listed Farmhouse in Lancashire . . . an excellent job . . . this is what the property must have looked like 300 years ago when it was first built and we are delighted with the skill and craftsmanship. The Royal Institute of Chartered Surveyors presented the scheme with its ‘Building Conservation Project of the Year’ award for 2012. 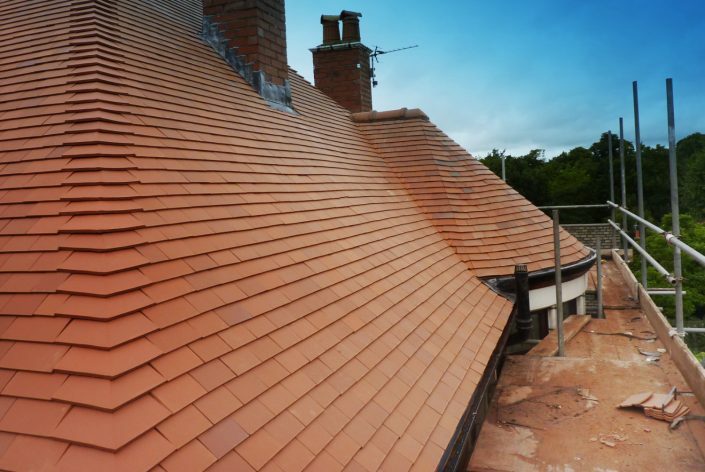 Haydock Slating is a family-run business with a many years of experience and knowledge passed down from 3 generations working as roofing contractors. We are proud of our traditional skills and our good work ethics. We are committed to giving our customers what they want, a roofing service they can trust. Our fully time served and qualified employees are all trained in-house, to specialise in slating works. – All projects, large or small are started and completed with the same diligence and hard work. 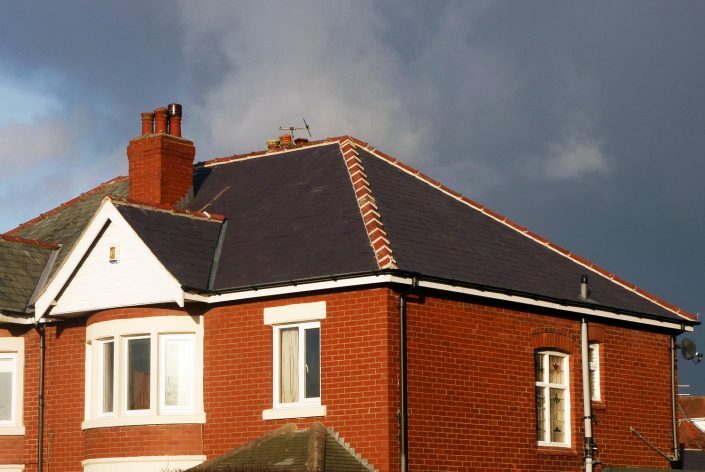 Haydock Slating is a member of CompetentRoofer, a Government-authorised scheme for England and Wales. Our membership gives you the assurance that we are professional contractors who are regulated and thoroughly inspected to ensure we reliable, and compliant and up to date with Building Regulations. All of our domestic roofing works automatically receive a 10 year warranty. (Warranties are also available for commercial/industrial works). Haydock Slating are on several English Heritage architects contractor lists as main contractors and have experience working on listed buildings and buildings in conservation areas. As main contractor on several large re-roofing restoration projects, we have employed specialist leadworkers, joiners, plasterers and scaffolders. 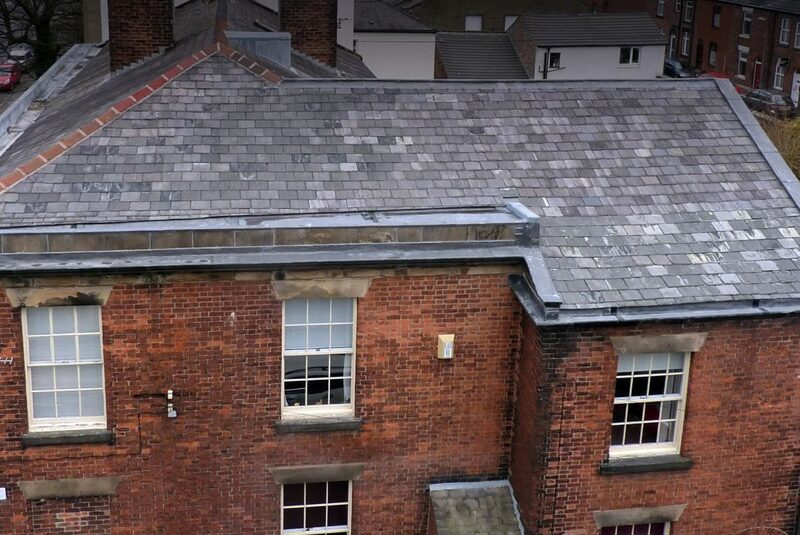 We oversee everything relating to the roofing on all such projects, ensuring the exacting standards and requirements for conservation are met. 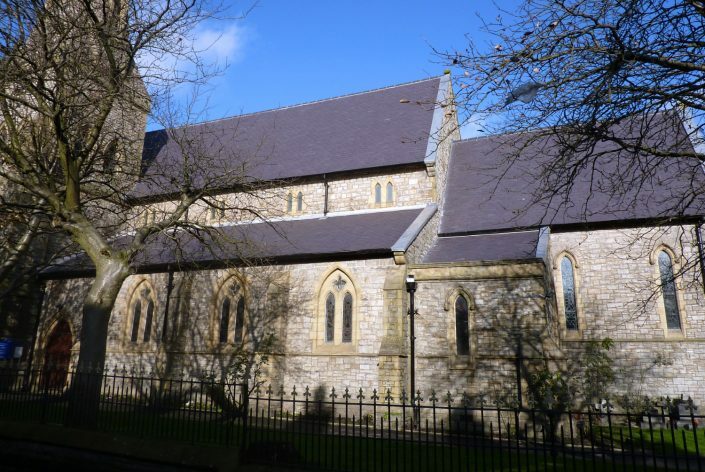 We are happy to work on roofing projects with private individuals as well as building companies, architects, church and local authorities. Please contact us if you would like a quote, we are always happy to discuss requirements and will advise you about the cost of your roofing project.